Designed by Perry Dean Rogers and built in 1987, The Keefe Campus Center was in need of an update to reinvigorate its function as a bustling campus node. 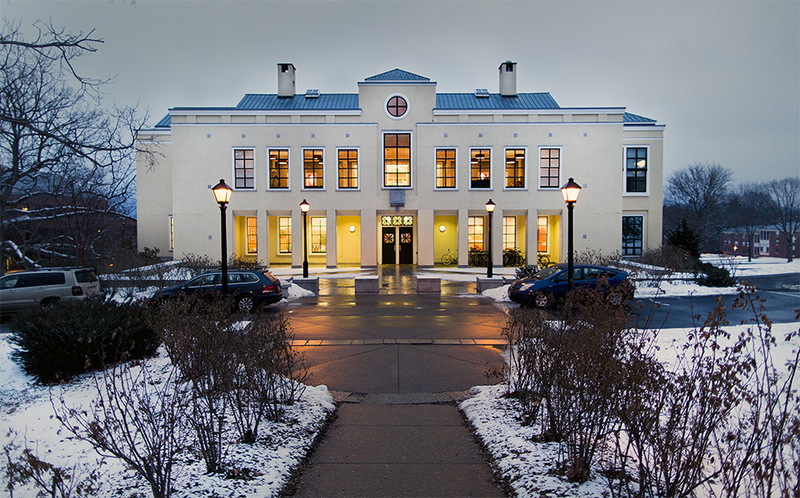 Construction was completed during winter break of 2013, requiring accelerated project delivery and a highly integrated design and construction process. 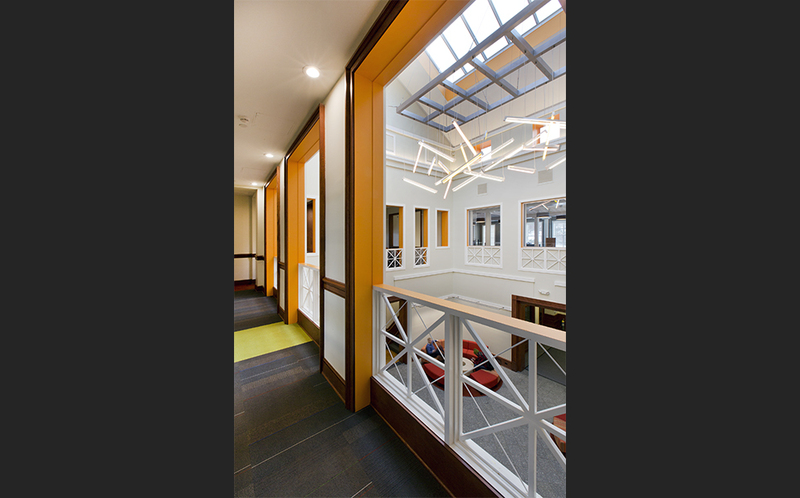 The primary goal of the renovation was to open and connect the campus center spaces around the atrium, creating a focused and inclusive central hub. The short project time frame and the importance of this building as a public face of the campus made the design process intense and the results critical. On the lower level and first floor, offices and layouts were renovated with new flooring, walls, ceilings, and lighting throughout. On the second floor, the changes were more visually dramatic. The original building was designed on a rigid dual axis, with all spaces connected loosely to the central atrium. While a strong aesthetic parti, this arrangement did not offer much for ease of use or quality of space for occupants. One of design goals for C&H was to explode that grid, more closely connecting all of the Campus Center spaces to both the atrium and the outdoors. In the Friedman Ballroom, a new vaulted acoustic ceiling (as well as new flooring, paint, and lighting) opens and enlivens the space. The new open-plan game rooms on the opposite end of the building promote strong visual and circulatory connections throughout the upper story. 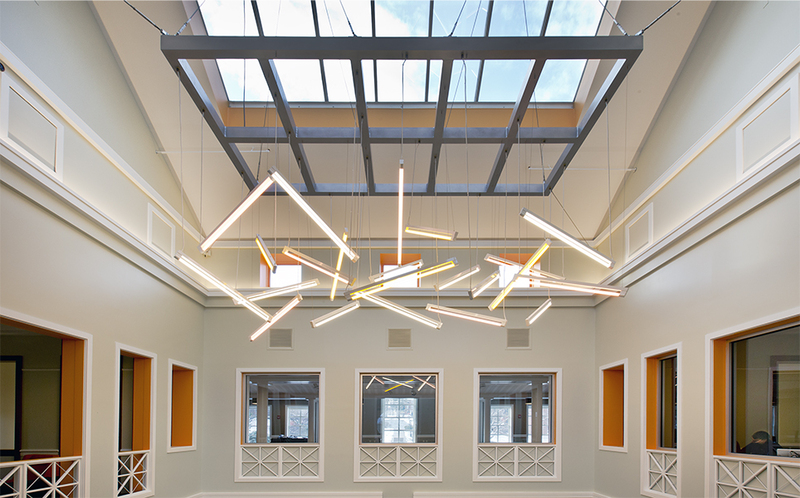 A dynamic new suspended light structure transformed the atrium into a bright focal point at the center of the building. 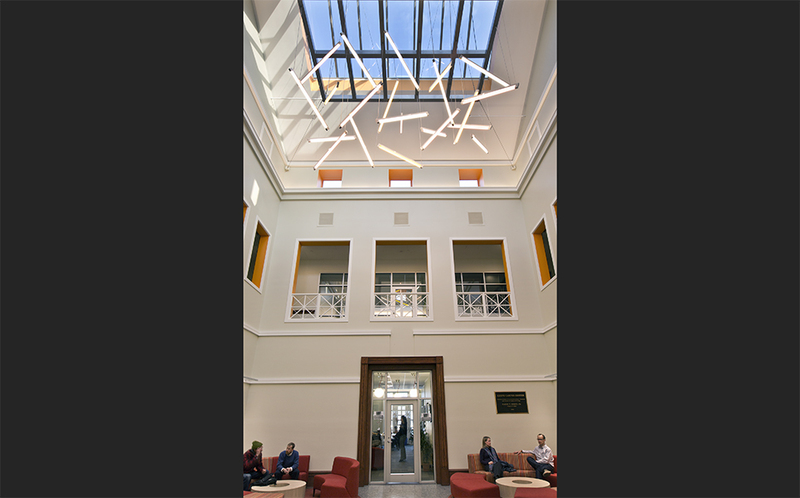 Hung in the existing skylight space, the new lights capture the eye and gives focus to the space when the sun is absent. Additional interior rooms were reconfigured to create second floor views through the atrium and beyond to picture windows that frame the Pelham Hills.